Though the popularity of email and text messaging have cut down on the number of greeting cards purchased each year, there are still plenty of opportunities available for people who want to start their own card making business. This type of business can be structured to provide a second income or it can be pursued as a full time job. While you can focus on making cards using techniques such as rubber stamping, calligraphy, origami, or paper cutting, a growing number of card makers are digitally designing cards that can be personalized to suit the needs of their clients. When deciding what type of business you want to start, think about your skills as well as your customer base. Handmade cards are more labor intensive and thus will need to be priced higher than cards that have been digitally designed. Consider not only the clients you potentially have right away, but those you wish to target as your business grows. With so many different entrepreneurs selling greeting cards, it's important to figure out a way to make yourself stand out from the crowd. Your niche is also referred to as your value proposition and is an important part of any arts and crafts business. You could sell general purpose note cards with original photos of popular local landmarks, or specialize in cards for children with activities and worksheets that are included. Perhaps you will sell inspirational Christian greetings for trying times like recovering from an illness, losing a job, or going through a divorce. All of these are niches for card makers, but there are plenty of others to consider. Simple & Serene specializes in cards with calligraphy and inspirational quotes. The shop also sells complimentary items like posters and calendars. Cards by Gaynor makes unique, personalized cards and gifts. Color Ink Studio sells personalized custom stationery, as well as address labels, shipping labels, and personalized pens. 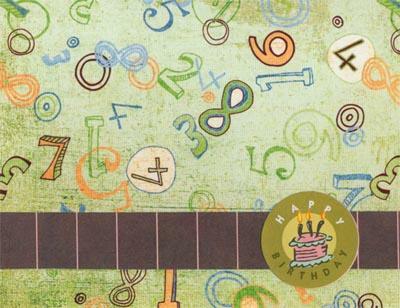 While many crafters sell their designs to the general public, focusing on professionals in need of attractive and unique greeting cards can be a highly profitable strategy. For example, large businesses often send out Christmas cards to their clients. If you come up with a pretty design that can be easily reproduced, you may find yourself with an order for 50 to 100 greeting cards. The cost of materials: Try to calculate your material cost by dividing the price of bulk purchases by the amount of cards you've created. For example, a spool of ribbon that costs $3 and provides enough decoration for ten cards adds 30 cents to the price of each card. Similarly, a package of five fancy vellum envelopes purchased for $5 will add $1 to the price of each card. Overhead expenses: Paying for advertising, packaging, and other miscellaneous business expenses can be costly. Keep track of what you spend and include this figure in the price of your cards. The value of your time: How much money do you want to earn from your card making business? Do you need a salary that's comparable to a regular full-time job or are you just looking for a fun way to support your hobby? General market competition: To get a better idea of how much money people are willing to pay for handmade greeting cards, you'll need to do some market research. Talk to other crafters, visit local craft shows, and keep your eyes peeled for cards that resemble your designs. Many craft businesses start off selling their wares at local craft shows or on Etsy. You can also try visiting gift shops and specialty stores in your community to see if they would be interested in making your cards available for purchase. You'll need to offer the owner a percentage of the purchase price, but this arrangement is an easy way to generate interest in your product. Home parties, like those conducted by rubber stamping company reps, can also be a fun way to give your products more visibility. Selling greeting card ideas to a major company is a little more difficult than starting a private business, but this can be an excellent way to gain exposure for your work. Money Pantry has a list of card companies that will accept submissions from freelance writers and artists. While learning how to start your own business can provide a great creative outlet for your talents, don't forget that it's important to keep accurate business records. In addition to recording how much money you earn from selling your cards, you'll also need to keep track of the cost of your supplies as applicable tax deductions. To make this process less stressful, set up a simple filing system and plan to devote one day per month to updating your business records. If you have questions about how your business income will affect your tax liability, it's best to speak with a qualified accountant. An accountant can also help set up estimated tax payments for your business, if needed. When you're designing your cards, you want to make sure you're not violating any copyright laws. Copyright applies to both images and text. Graphics purchased as part of a software package are only OK to use if the software license says they are suitable for commercial use. Rubber stamps are acceptable to use if the company has an "Angel Policy" that allows you to create products to sell. If you're using photographs, you need a signed model release from any people who are identifiable in the images. Cards with quotes from famous people, songs, or books are acceptable as long as the quotes are attributed to the source. Copying the words from your favorite Hallmark card and changing the design on the front is not acceptable. If you have any questions about copyright law, it's best to consult an experienced attorney for legal advice. Turning your love of card making into a profitable business takes time and dedication. However, knowing that you've played a small part in helping someone celebrate a moment such as their birthday, wedding anniversary, or the birth of their first child can bring great personal satisfaction. With the right business plan and a lot of hard work, you can make your small business a great success both personally and financially.